Although the AHG has not previously adopted positions regarding intellectual property in general, we oppose the granting of a trademark to Shire City Herbals for the term Fire Cider. As part of the United States herbal community we are concerned at the granting of a trademark to what is very clearly a traditional preparation predating any single company’s product. We believe the U.S. Patent and Trademark Office clearly erred, and urge the Office to revoke the trademark and grant Fire Cider generic status. 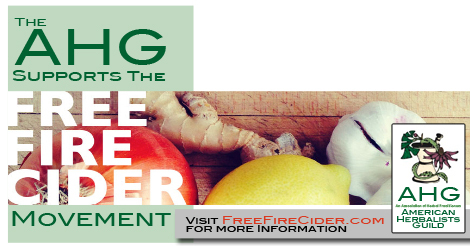 At the same time we call upon Shire City Herbals to recognize that Fire Cider predates their product development and to voluntarily cancel their trademark. We are deeply concerned about the legal actions taken by the company against small companies and individuals using the term Fire Cider. Lastly the AHG stands firmly with the herbal community in believing that traditional herbal preparations, names, recipes, formulations, etc. should be available freely to all, and that no trademark or other exclusive right, commercial or otherwise, should be granted to any company or individual for a traditional or historically generic term or preparation.